I was inspired to write this after seeing the first spectacle on my list. It got me thinking as Communications Coordinator, about how many of our BioWeb.ie articles are about exotic, tropical destinations in places where you could just as easily have a cocktail in a coconut in your hand as see one of your Bucket List wildlife species. Not that there’s anything wrong with that. My first article for BioWeb.ie was about my time working with turtles in Barbados. I’m not sure it can get more “cocktails and coconuts” than that. But what about closer to home… Home for me is in suburban Dublin, Ireland. How many incredible wildlife encounters had I enjoyed in this small county? Turns out… quite a few! You don’t have to spend almost a month’s wages (yes, I’ve done that!) to have experiences with nature that can stop you in your tracks. Ok, as far as stopping you in your tracks, this one stopped me in my jeep. Definitely my first time wishing for a traffic jam to get worse instead of better. I had always dreamed of seeing one of these. I blame BBC Autumnwatch. Swirls of black, dotted against a dimming sky, with patterns and twists, it seemed so mesmerising and just plain incredible. I always seemed to be in the wrong place at the wrong time. I definitely did not expect the right place and the right time to be 5pm rush hour traffic trying to wind its way onto the m50 at Junction 10 near an industrial estate. Yet there it was. Smaller than many of the T.V. murmurations of thousands, this one I estimated to have about 250 birds. That didn’t make it any less exciting. I resisted the temptation to beckon to other drivers who did not seem as entranced by this acrobatic flying display. While this isn’t a spectacle where I can recommend a definite place in Dublin to see it, all I will say is that you never know where your next wildlife encounter is going to be! Killiney Hill is another area where wildlife is plentiful. Home to red squirrels and with views out to sea that have to be some of the best in the country, it’s a good spot to head if you’re in the mood to spot some wildlife. My favourite sighting from here however is not a mammal, but another bird. Over the Christmas break, while many were rubbing sore heads, I headed out with a friend early one (rare) sunny day to make up for all of the chocolate gorging that had taken place on previous days. We stopped to take in the view along the sheltered side of the walk when I spotted a kestrel out of the corner of my eye. Hovering as if on puppet strings against the backdrop of the “Dublin Riviera” this was definitely a wildlife encounter worth the early start! I’ll admit, my third pick is not native. I’m sure some of my university lecturers would roll their eyes. 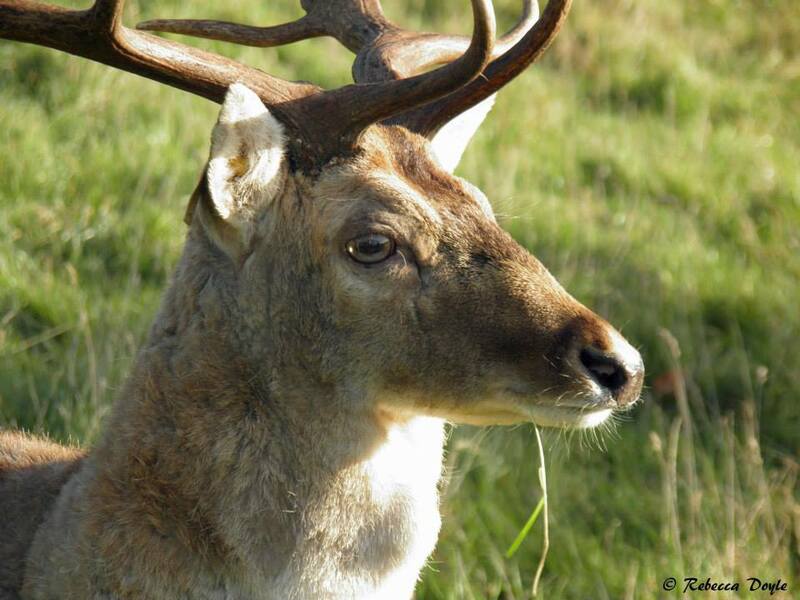 But the fallow deer in the Phoenix Park have worked their way into my top 5 with minimum effort. To be in the middle of the capital city of Ireland and have deer wander by your car is pretty special. Children who are not privileged enough to the natural encounters that those who live in rural areas have can witness some amazing wildlife activity and can grow a passion and a love for wildlife right in the centre of the city. As a fan of nature photography I had been itching to shoot some nice seal pictures. I had gotten it into my head, couldn’t let go and was asking around. One recommendation was a little outside of Dalkey. There wouldn’t be lots but there were usually a few. Good enough for me. I’d like to say it took me hours of patience and working to get the right angle, but the seal in the photo below was beyond obliging. As if someone had paid him off he glided effortlessly through the water in front of me several times, stopping to catch and munch on a fish, before disappearing out to sea. Is choosing my garden a bit cheesy? Yes, I think so too. But I can’t deny that this is the place in Dublin where I have had my best wildlife experiences. Spoiler alert: I won’t be listing off my address as the newest and coolest urban wildlife watching spot. I will say however, if I have had these experiences here, many other Dublin readers could likely have the same. Living in what was once a sleepy almost-rural village, that has now stumbled its way, one new housing estate at a time, into the category of suburban, this area has provided me with my favourite wildlife encounter. Before I get to it, I’ll just mention some of the other wildlife I’ve been fortunate enough to spot here. I’ve spotted a variety of colourful birds, from bull finches to the beautiful gold finches. Last summer three baby wood mice were exploring the grass, oblivious to my clicking camera. They were a close contender for the top spot. I know as a zoologist it’s frowned upon to throw around the word cute too often but seriously. They were the definition of it. My number one? Buzzards. Three of them. All summer long. Hearing their piercing calls on a summer day still has me running outside to watch them circle on the thermals. Seeing a species that was once absent from the country flying over your back garden is definitely a worthwhile number one Dublin wildlife encounter. 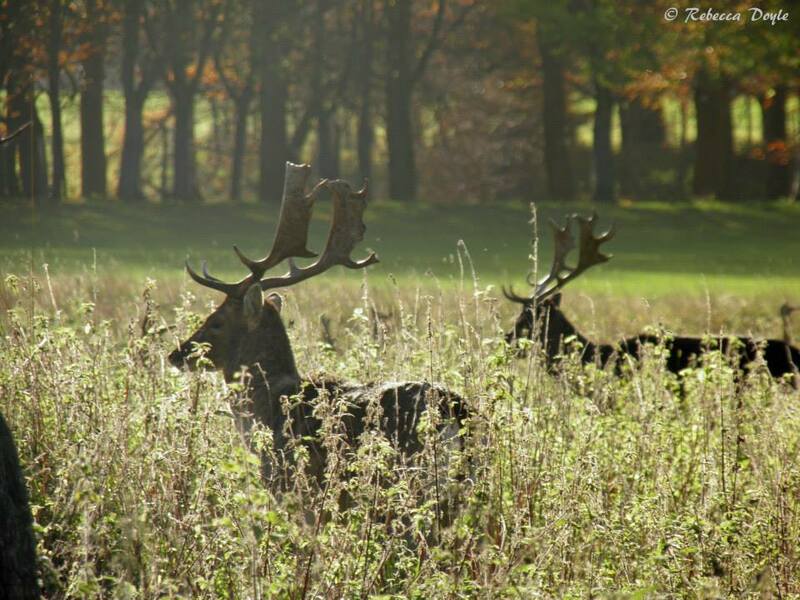 At BioWeb.ie we would love to hear about where your top wildlife encounters in your home county, city or state have been. Comment below or write us an article! 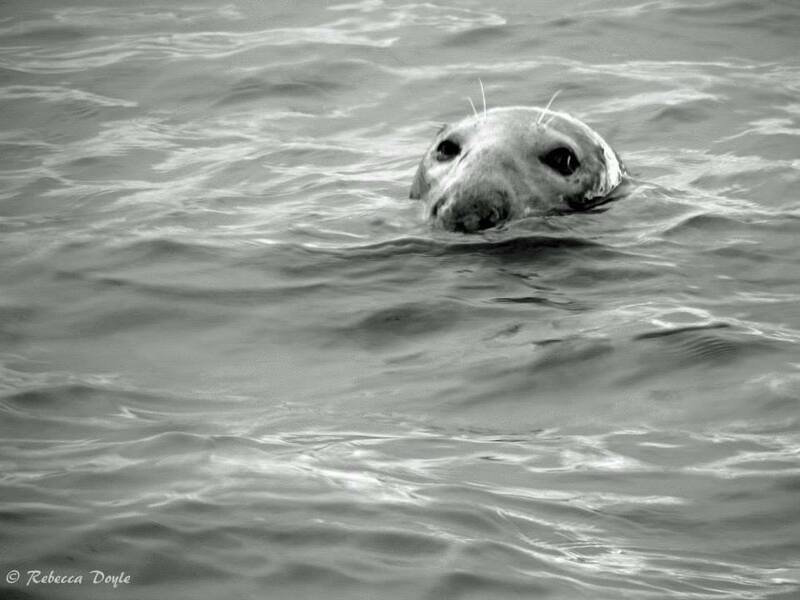 Stunning photo of a bull grey seal Rebecca! Thanks Cormac! Love seeing them!